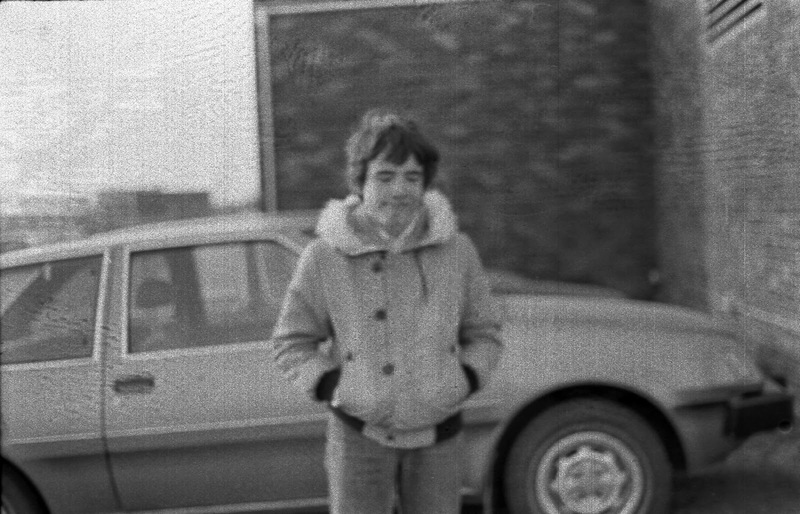 Here I am sometime during Grade 8, working on a project for the photography module of our Industrial Arts class. I suspect the photo was taken by my classmate Mike Repchuk, since there are photos of him that accompany this image, taken at the same place and time. Behind me stands Leduc Junior High School; it's still there, though I imagine it's been expanded and remodelled a couple of times since I left. I'm not sure why I have such an annoyed expression on my face, since the photography module was my favourite of all the Industrial Arts courses I suffered my way through, Power Mechanics possibly being the worst.